Many of us have had financial difficulties at various times in our lives. There is no shame in it and accepting a helping hand should not be seen as a negative. 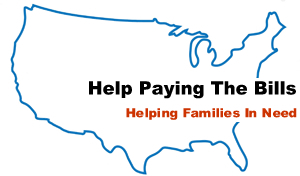 The intent of this site is to provide a way to find the resources for helping pay the bills. There are many programs on a Federal, State and Local level that people should be aware of and take advantage of when needed. We are breaking down the categories to cover most of the major areas of assistance and give some insights in to how to make use of them and where to find them. We are also building a community where people can connect and share their stories and knowledge. If we all are more willing to help one another, many of our problems can be addressed and answered.